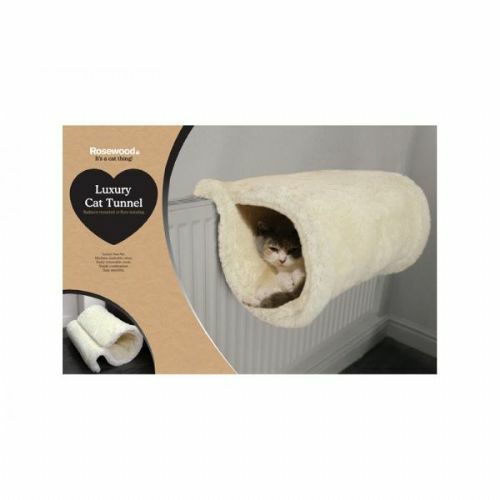 Rosewood Luxury Cat Tunnel / Bed is a tunnel or cat bed that can be mounted on a radiator or stood on the floor. The Rosewood Luxury Cat Tunnel / Bed is made from luxury faux fur and has a machine washable cover and easily removable with sturdy construction. Easy assembly.